As you might imagine, he was completely floored when a January earthquake managed to destroy the little the Haitians had managed to scrape together. The disaster felt personal. Just weeks before, he and his team had stayed at the Hotel Montana. Now, it was just pile of rubble -- and a tomb for many, like Compassion's David Hames. The projects he had toured -- including schools, senior centers and orphanages -- suffered serious damage. A country that already had nothing -- Haiti was the poorest country in the Western hemisphere even before the earthquake -- now has even less. If you're reading this on Saturday, you can help by watching Compassion International's Help Haiti Live concert; it starts streaming online at 7:30 PM Central. If you're reading this after Saturday, you can still give. 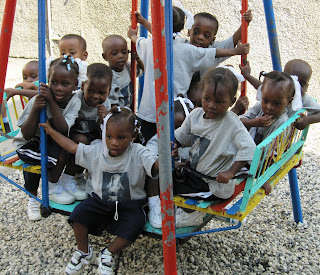 Haiti isn't in the headlines anymore. 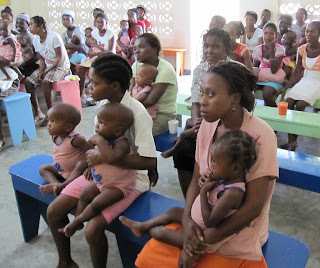 But there are many relief and development organizations who will be in Haiti for years as the country attempts to rebuild. Consider making monthly donations to Food for the Poor or Food for the Hungry or World Vision or, yes, even Compassion. This disaster will have human aftershocks for decades to come. How do we define nothing? What does nothing mean to you? When I traveled to Haiti this past December – just six weeks before the January 11th earthquake that leveled Port-au-Prince – I encountered a level of nothing I’ve never seen before. I have some experience with poverty. I spent the early years of my life as an orphaned street rat, lacking food, clothing, shelter or care. I know hunger, disease and abuse. 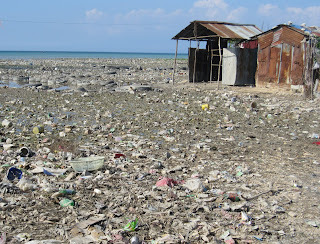 I also traveled to Aceh province in Indonesia just months after the tsunami in December 2004. The devastation was horrific. So what is nothing? Nothing is a parent who literally has not had a single bite of food in four days, simply so they might give their starving child a skimpy bowl of rice. Nothing is an area so terrible that two out of every three children die before reaching the age of five. I saw babies and children so near death, I am sure they died within days or a week of my visit. Nothing is adults who are far beyond having no food or water. Nothing is having no hope, no dignity, no self-respect, no reason to live for another day. Nothing is looking into the eyes of men utterly lost with no purpose and no future. I saw women who didn’t even bother to wear clothes. What’s the point? There’s no dignity, no self-respect. If they had a shred of cloth, it would be patched in with the tin and cardboard, where it could at least provide some shelter from the sweltering sun. Nothing is conditions that assault the eyes, that make you wonder how anyone could survive, yet that’s just half the story. What you miss in looking at the pictures is the stench. Every street, every creek, every canal, every corner, held heaps upon heaps upon heaps of garbage. Not just paper and plastic, but carcasses, waste from humans and animals. Imagine the stench with pigs walking around everywhere, rooting in the filth, children and adults alike stooping in the muck to do their business, and then when the rains come, it all washes down into your homes. 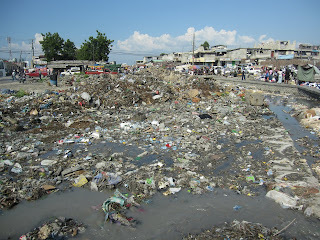 Much of Haiti is below sea level, and much of the ground where I walked was wet with waste. At one stop in a wretched neighborhood of rusted pieces of tin and cardboard held together by string, twine and twigs, I violated the terms of the tour I was on by going off through the garbage and waste heaps to where a mother had waved and yelled to get my attention. When I reached her hovel, hanging by a rope was the rotting carcass of a goat, minus it’s head and skin. Imagine it’s 90 degrees, 95% humidity, no shade, flies everywhere, and this goat had been hanging outside for several days. Yet these people were fortunate, because they at least had food. They could go up and carve off a piece of meat and eat it to silence the hunger. Yet are they so fortunate? Because the very meat they’re eating is so polluted and contaminated, it’s also the reason they’re so sick. Those are their choices – death by hunger or death by disease. How to really imagine all this? Imagine a vast septic field. Now rip the top layer of grass and soil off so the ground is wet and smells of the septic system below. Then throw all your garbage, month after month, into this field. Then throw random carcasses and animal waste into this field. Then let pigs wallow around and root in this field. Then build your homes on this field, 5 foot by 6 foot shanties, built no more than three feet from the next shanty. That’s your new Pleasantville. That’s nothing. But amidst all this wretchedness, there is still hope. 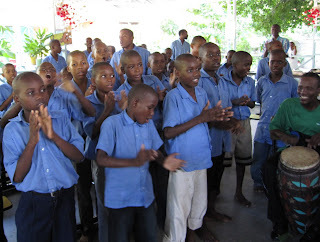 I visited orphanages and saw boys and girls who were acting and playing just like little children do in America. I visited a senior center where the dignity and pride of the older women far exceeded anything I’ve seen in senior centers in America. 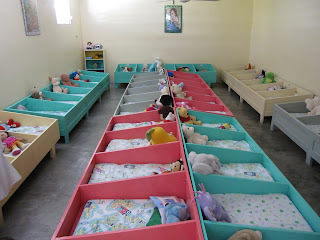 I saw a nutrition center and school where malnourished babies were cared for. I saw mothers who were taught to read, to write, to take care of their homes, and to learn a livelihood. I saw schools for older children, where they were educated and given vocational training. I saw economic development where men were taught to tend tilapia ponds; the fish feed multiple communities and are a source of food, export and income. 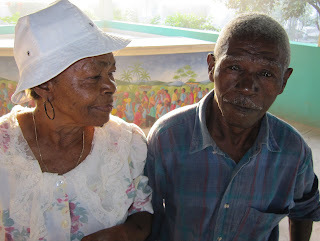 There is still much dignity, hope and beauty in Haiti. There can be so much more than nothing. But they do need help. Let’s put that into perspective. Just $12 will feed a family of four for a full month; $20 covers education and school supplies for one child for an entire year; $34 sponsors a child for a full month – food, clothing, education, and medicine; $36 feeds a child for a full year, $90 buys a goat that provides milk and cheese for a family, $2,600 builds a brand new home; and if you want to provide everything for a family with nothing, $3,582 provides a new home with a concrete floor and solid roof, a new latrine, rice and beans for a full year, a small business grant, clothes and shoes, and a full year of education, including school supplies and uniforms for two children. If you want a real challenge, for $1,500 you can take a trip to experience nothing yourself. But whatever you do -- don't respond with nothing. Because we are blessed to do something. WOW! Thank you for sharing this Kelly and Corey... really reminds me how blessed we are- how much we have. 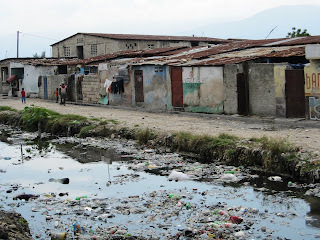 Even the poor in our country are rich compared to the poor in most of the world- especially Haiti. Thanks for the challenge to give- and for the reminder to be thankful for all that we have. I just bought 2 weeks of groceries and paid all the bills that were due. I was upset to see that we only have $95 til next payday. I thought we had "nothing." Then I read this. Sobering. I linked it to my fb so others can see, and I will talk to my husband about what we can do. Thanks for sharing.